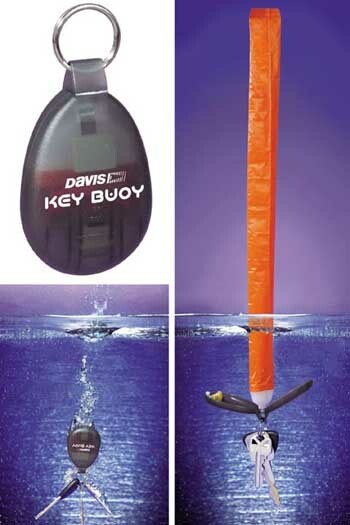 Davis Key Buoy is a key fob for boaters. When keys fall in the water, Key Buoy self-inflating key ring opens up, releasing an air tube which inflates automatically. Within 30 seconds, your keys rise to the surface, and the 14″ inflated tube extends above the water, allowing you to easily see them and then pick them up. Almost makes me wish I had a boat.